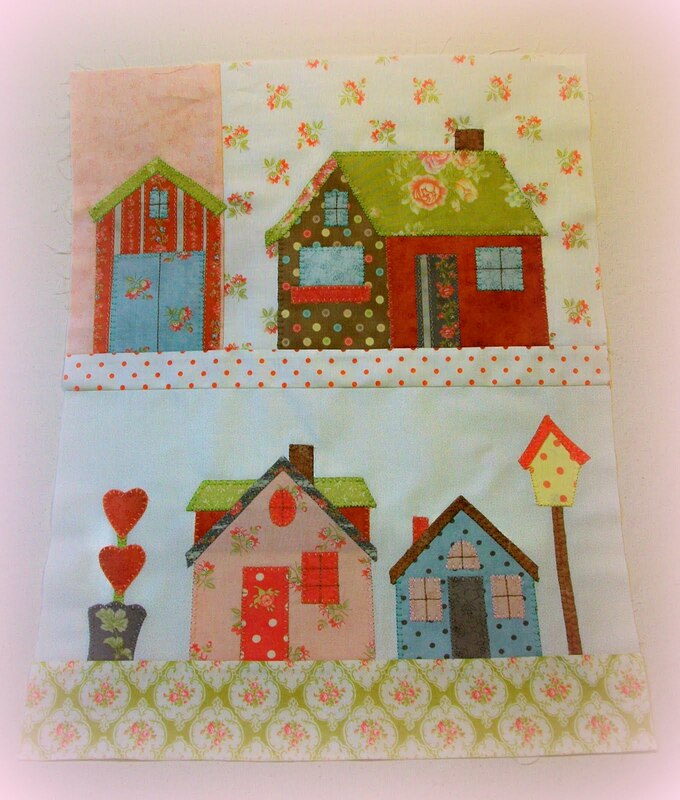 This is Block Two of Tiny Town by Bunny Hill Designs. It's turning out so wonderfully and is so much fun to see the little houses and sheds take shape. This is the sample for Kindred Spirits Co. Quilt Shop. The quilt will be offered as a BOM. I'm pretty sure that it will find a loving home in a little granddaughter's room one day. We have a grandson, but I'm sure he will have a sister soon and this will be a perfect wall hanging for a girly, girly room.